Google Blog Search is Google search for blogs and blog posts. Users are able to find fresh updated content in a timely manner. Blog post results are updated every 1-3 days. Users are able to search through a custom feed of blog posts when entering their search query. Why use Google Blog Search? A user can search for personal opinions rather then weed through the traditional search media results. The most popular topics benefiting from Google Blog Search are those that create constant buzz, such as entertainment, technology, and hobbies. The people searching for these topics are desiring to find the latest buzz about their search topic. How does Google Blog Search work? A user can access Google Blog Search by going to – www.google.com/blogsearch. You first type in the search term and your initial results will show up. You can drill down your search even further by clicking on the “Advance Search” link which will guide you to choose specific titles, authors, languages, etc. Users can also choose to search by topic, which you will see on the left side of the interface. Search by Topic on the Left Side of the Screen. Choose Advance Blog Search – located on the right side of the search bar. Google Universal Search. 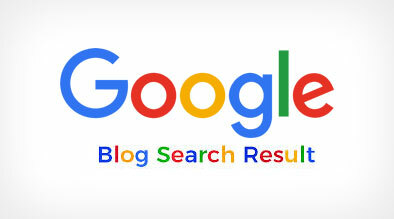 Blog results will show up both in the Universal Search results in Google Search and Google Blog Search. The results that show up in Google Universal Search are based on the relevancy of the query to the blog post. If the query matches relevant content on a certain blog post then it will appear in the results. In order for Blog post to generate impressions in the Universal results, the content needs to be full and relevant to the topic at hand. Subscribing to Google Blog Search. You can also choose to subscribe to your blog post search results. Once you enter your search query and decide to subscribe to the feed, you can do so by clicking on the RSS or ATOM button on the left side of the screen. This will provide you constant updates on post that come through that match your search query. Sample Google Blog Search for “The Jonas Brothers” – a hot entertainment/music topic. Left side of screen gives you option to join their feed. The most recent post shows 7 hours from when it was posted. As the increase in popularity for Google to expand their “Universal Search”, Blog posts from Google Blog Search have worked their way into the blended search results of Google Search. Blog post provide real time information on buzzing topics. By including blog posts into the basic Google Search results, users are able to find a “One Stop Shop” for all their informational needs. Hi, I read your post and found it a very interesting. I run a blog on internet marketing. The reason why I started my blog is that I found it quite flexible and good marketing strategy.